Office sharing company WeWork has reported that its flagship London building became profitable in 2017. This is important because sceptics have always questioned whether WeWork’s model of leasing buildings, making them look cool, and renting out desks would work. 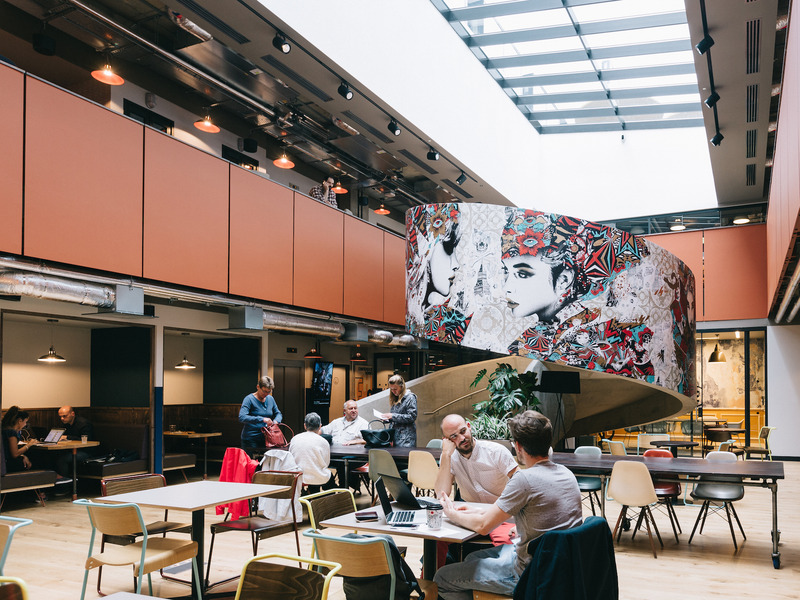 Filings for its overall UK business show WeWork’s losses nearly tripled, which the firm attributes to its rapid growth. WeWork’s European flagship building in London turned a profit in 2017, in what the fast-growing office sharing startup will see as a vindication of its model. WeWork filed its first accounts for its building in Moor Place, London, covering the year to December 2017, and shared the details with Business Insider. The earnings show a big jump in operating profit from 2016, and revenue exceeding administrative expenses for the first time. Revenue: £25.2 million ($US35 million), up 21% from £20.8 million (£27.1 million) in 2016. Administrative expenses: £23.6 million ($US31 million), up 8% from £21.9 million ($US29 million). Operating profit: £1.6 million ($US2 million), up 449% from £29,127 ($US38,000). Pre-tax profit: £1.6 million ($US2 million), up 780% from a loss of £181,664 ($US237,000). WeWorkOne of WeWork’s London buildings. WeWork is headquartered in the US and has attracted a reported $US8.1 billion (£6.2 billion) in venture capital by fitting up and leasing out building space as shared offices. It bills itself as more community-oriented than other shared office rivals, and its workspaces are known for their free beer, chic furniture, and bright working environment. The company is hugely hyped partly because it has attracted half its funding from Japanese giant SoftBank, and because of its rapid growth. It also attracts ridicule for its language around community, and for what is perceived to be a cultish culture. A profitable workspace is good news, but WeWork has several hurdles to clear before it can convince sceptics. 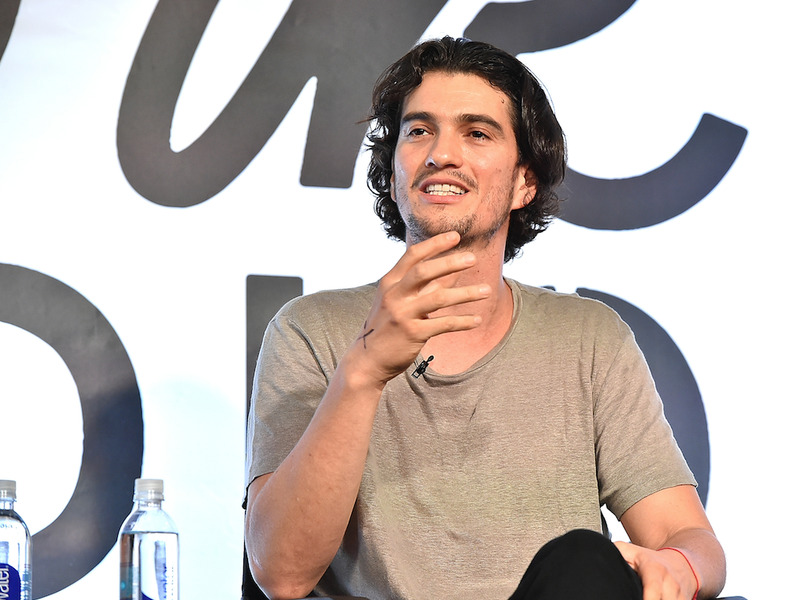 Separate filings for WeWork’s overall UK business show that its losses nearly tripled. Doubters ask whether the revenue WeWork makes from renting out desks to startups and enterprises will ever exceed its ballooning expansion costs. The company has argued that it incurs significant expenses because it’s growing so fast, and it costs a lot of money to lease out new offices and fit them up in the WeWork style. Revenue from WeWork memberships: £118.3 million ($US154 million), up 97% from £60.9 million ($US79 million). Administrative expenses: £163.2 million ($US213 million), up 96% from £83.1 million ($US104 million). Pre-tax loss: £32 million ($US42 million), up 190% from £11 million ($US14.3 million). Staff costs: £12.4 million ($US16.1 million), up 106% from £6 million ($US7.8 million). Number of staff: 198, from 97. The company now has £3.2 billion in UK lease commitments over the next 20 years, a spokeswoman confirmed. This is a bold bet given the UK exits the EU in 2019, which may lead to a downturn that affects the property market. Businesses may also leave the UK, leading to reduced demand for office space.